Swiss Tool Systems is proud to present its new EcoLine finish-boring tool, which can be directly attached to an ER collet chuck - a world first. 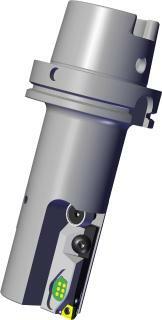 This allows users to save on tool costs by eliminating the need for an master shank, extensions or reductions. According to the Swiss manufacturer, this innovative new clamping concept, which includes a chuck cone grip and face contact, promises outstanding rotational accuracy, maximum rigidity and extremely high retention force. 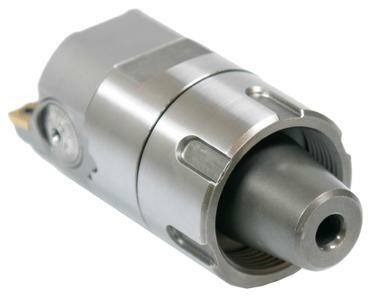 Collet chucks with an ER connection (DIN 6499) are widely used in mechanical workshops. The innovative, cost-effective new EcoLine boring tools from Swiss Tools are now available on the market. "The new ER (DIN 6499) connection provides users with a rigid tool for finish-boring that works in a similar way to HSK connections in terms of the clamping principle," explains Peter Heinemann, technical head at Swiss Tool Systems. 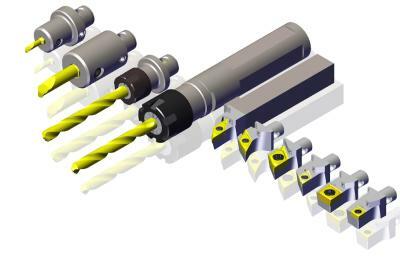 The new EcoLine boring tools developed by the Swiss precision tool manufacturer can be directly connected to standard ER collet chucks, as used worldwide. The monoblock system consists of a boring tool with an inbuilt chuck cone and is simply screwed onto the clamping device using the clamping nut. The tool and the chuck cone of the clamp form a single unit. The resulting cone and face contact is extremely rigid, thus ensuring high precision. Stable connection similar to HSK-T and BIG PLUS® with significant cost savings Additional clamping elements such as collets are not required. The ER system's chucking capacity is also significantly greater, as the clamping nut is built into the connection. For instance, the Vario-Head boring tool can be used with clamp size ER40, suitable for boring holes with diameters of 3-152 mm. As well as higher accuracy, users also benefit from significant cost savings, since they no longer need to pay for an adapter, extensions or reductions. 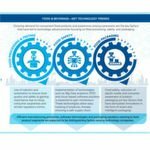 "If you think about how common ER connections are in companies around the world, the level of potential savings quickly becomes apparent," comments Heinemann. And as the Swiss manufacturer is also selling the monoblock tools at an attractive price, this world first could quickly become a hit on the market. Founded in 1971, Swiss Tool Systems employs around 45 people in the manufacture of a comprehensive range of high-precision tools used in milling and lathing, with HSK, PSC and KM interfaces. It also provides modular tool systems. From its origins as a contract manufacturer of quality machine parts, the company has grown into a leading international producer of tools. Swiss Tool Systems now ranks as one of the most important suppliers of all products used between the spindle and the blade edge. SWISS FLEX, SWISS PSC, SWISS BORE, SWISS MULTI, MBM, CAD und Unidorn - its brands are known far beyond the boundaries of Switzerland. 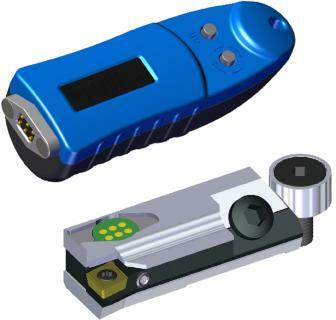 Especially in top-of-the-range applications involving the HSK interfaces A 63 and A 100 (under DIN 69893), Swiss Tools offers a broad selection of stationary and rotating tools. It also plays an active role as an OEM for leading companies. In the last financial year, Swiss Tool Systems AG generated sales valued at around 10.5 million Swiss francs (approx. 8.75 million euros).